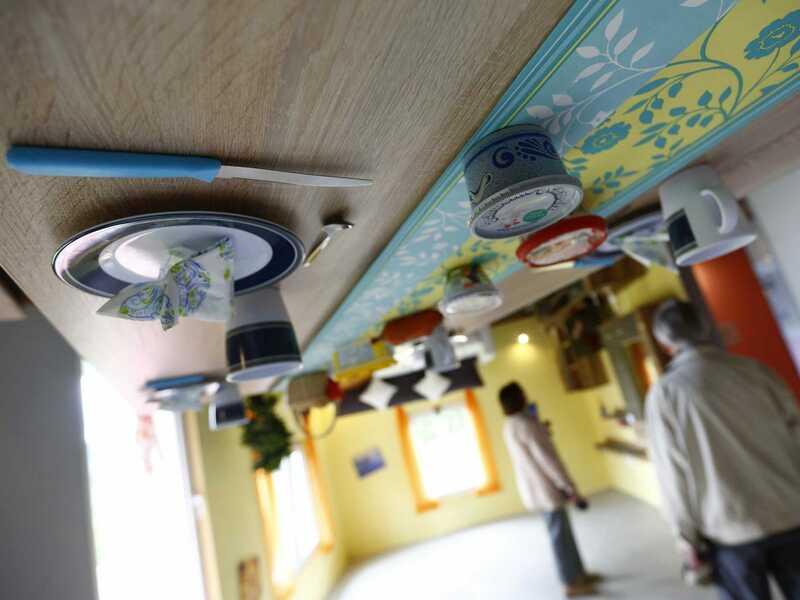 Upside Down Houses Exist, and They Boggle the Mind! 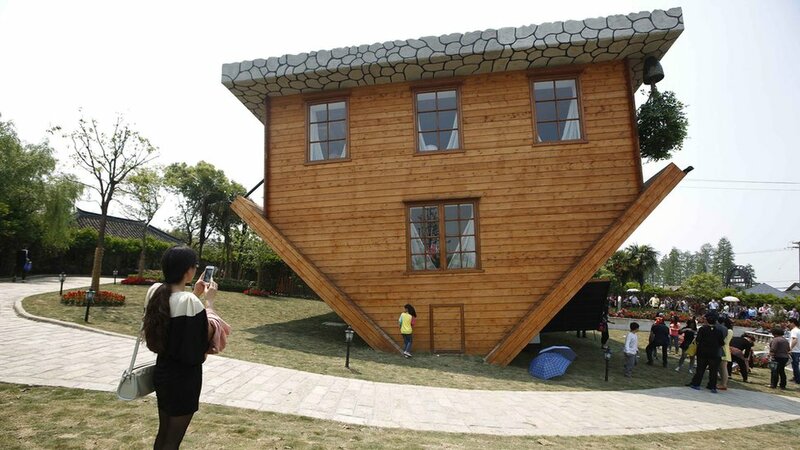 What happens when you build a house upside-down? These popular tourist destinations have the answer. You probably think you're cleaner than you really are. But your home is full of mold and scum. it's OK. We're here to help you. The perfect home for Halloween. It looks like the opening credits of 'Saved By The Bell' exploded inside the house and it's perfect. What's better than a magical house decorated for the holidays? How about a magical house decorated for the holidays that you can EAT. Yeah. These 15 awesome rooms will make you want to retreat into your own man cave. 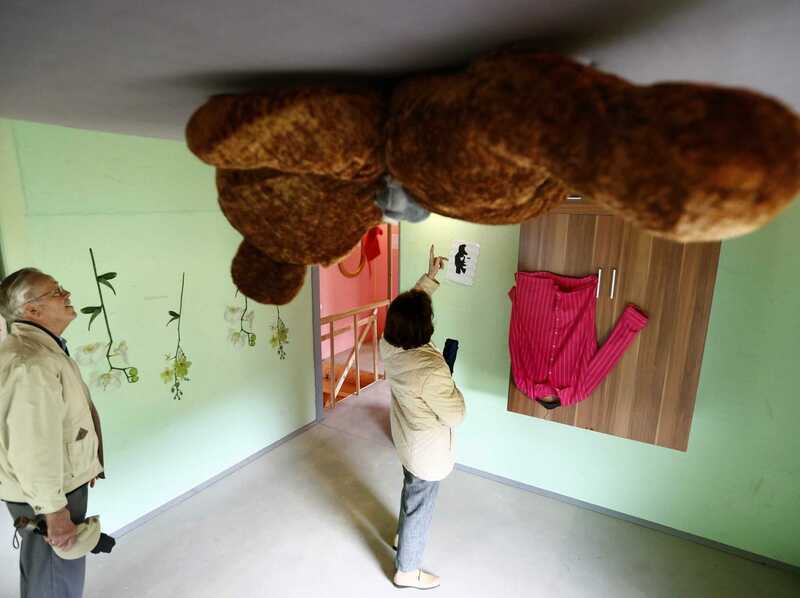 This house in China was made by Polish designers and took five months to complete. Tickets to see the inside cost 30 yen, or about $5. Ever wonder what it's like to be a spider? Here, visitors get the surreal experience of walking on the ceiling. Being inside this house can be disorienting. Visitors feel like water is going to come spilling out of that toilet at any second. This house is either the result of impressive architecture, or it's all being controlled by this guy's obvious mystic powers. 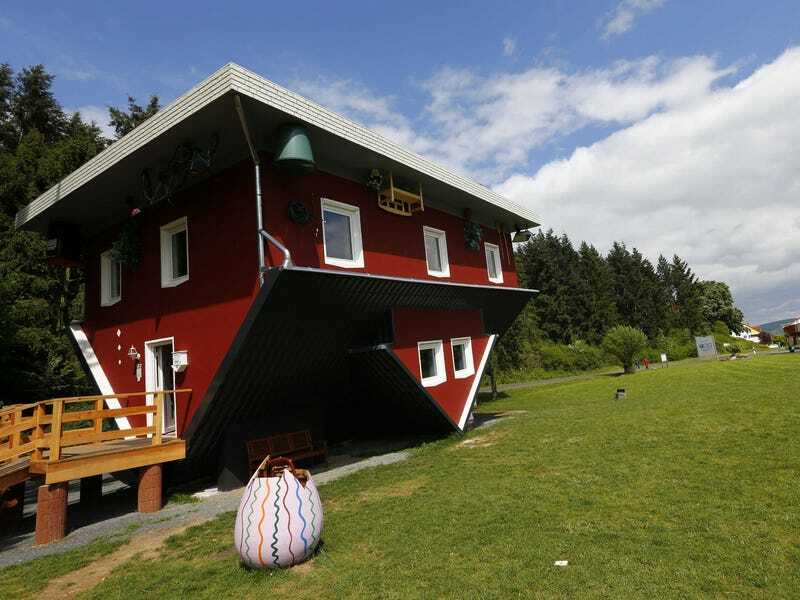 Here's an upside-down farm house in Germany. Talk about ehrfürchtig! As if this room wasn't mind-boggling enough, check out the optical illusion to the right of that woman's hand. Is it a face or a saxophone player? No matter which way you flip this image, it's an impressive looking pose. The only kitchen in the world where an upside-down cake is right side up. This Moscow tourist attraction is made to resemble a European summerhouse. You know, except for the being upside-down part...and the snow. Lesson learned: NEVER put the gravity-switch next to the garbage disposal. The house is located in the All-Russian Exhibition Centre, a permanent trade show in Moscow. Admission into the house is 300 rubles, or just a little over $8. But seeing a race car bed? Priceless. Welcome to the Rumah Terbalik (which translates to--you guessed it--"Upside Down House"). A fun tourist attraction in Tamparuli, a small town in Sabah, Malaysia. Open to the public, the topsy-turvy adventure begins before you even step through the door. 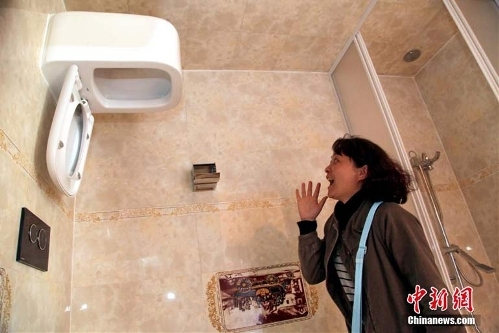 On top of feeling upside-down, you'll also feel like a giant next to that tiny toilet. They say that under extreme situations, like saving a child, your adrenaline can help you lift an entire car. Well, just skip that step and buy tickets for RM18.00 ($5.66) to get the same result.